Your dentist should monitor your child’s development during the transition from the baby dentition to the adult dentition. An orthodontist may need to see your child between the ages of 6-10 years, especially if a key dental developmental stage is delayed or your dentist has concerns. 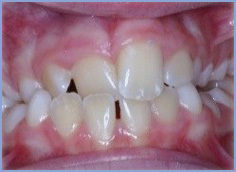 The majority of orthodontic treatment in children is best undertaken when growth is actively occurring during adolescence. For girls between the ages of 10-13, boys 11-15 years. During this period we can use your child’s growth potential to obtain a great smile which enhances facial appearance and jaw function. Functional appliances are used in growing children and adolescents where there is a disparity between the jaw sizes. They work by stretching the oral soft tissues and the elastic recoil of these tissues generates a force to move teeth and stimulate a redirection of jaw growth. There are many different types of functional appliance and they all essentially work in the same way. The Twin-Block functional appliance is used most often as it combines effectiveness with ease of use. 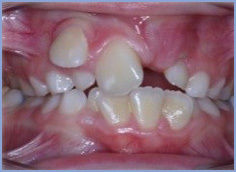 Functional appliance aim to reposition and establish a balance between the upper and lower jaw, they work well for mild to moderate jaw size disparities but in extreme situations jaw surgery may need to be considered when the child has stopped growing. Typically the appliance is worn between 9-12 months on a full time basis but it can be removed to allow brace and teeth cleaning. 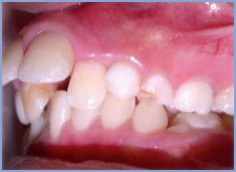 It takes a little time to adjust to the brace and an ache around the jaw joints and teeth is not uncommon for 2-3 days. The brace should not be removed at this point and painkillers (that you would take for a headache) should be used. After a week, the brace should have settled in with no more discomfort. Some patients find speaking difficult when the brace is first fitted but you will soon adapt to the brace and your speech will return to normal. 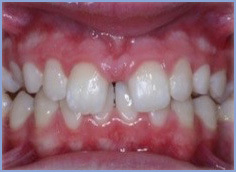 You will have your progress checked by your orthodontist and you will be amazed how quickly you see quite dramatic results. At the end of the functional appliance treatment your needs will be reassessed, the majority of patients go on to have fixed appliance treatment, either with or without the need for tooth extractions.